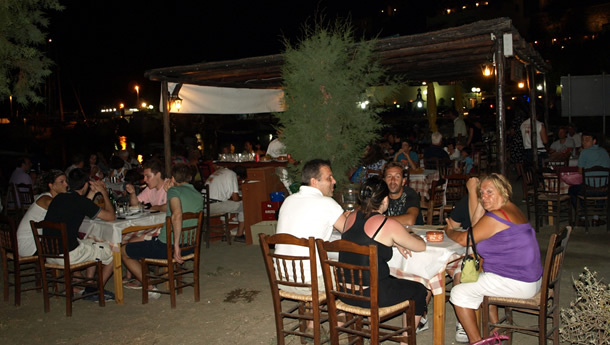 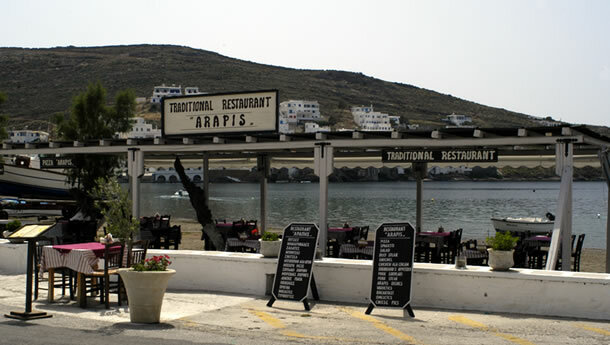 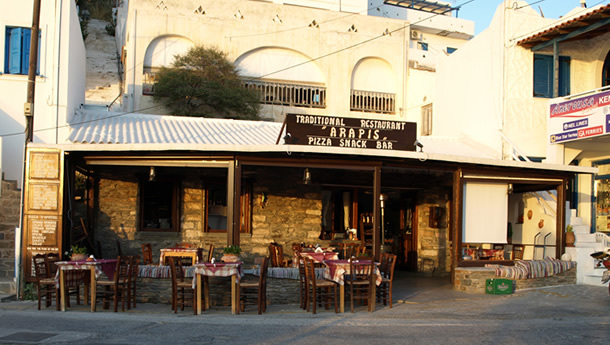 The 'Arapis' restaurant has been cooking pizza and pasta for the island and its visitors since 1981. 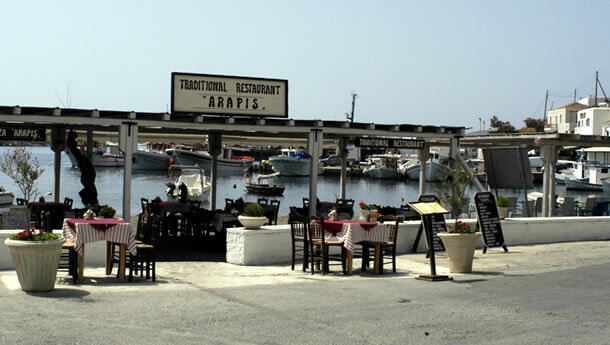 Enjoy mouth-watering dishes and fresh salads with local vegetables at an idyllic location in the heart of Kythnos' port - Merichas. 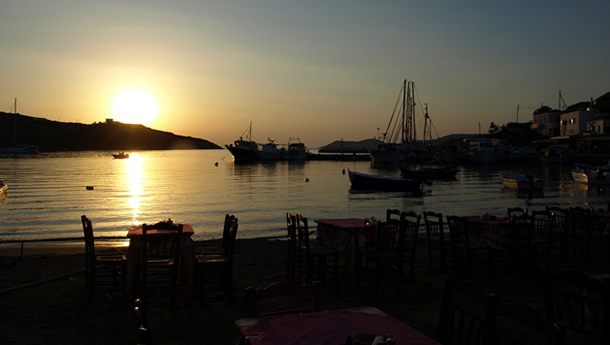 In the evening, come by for an ice-cold beer and watch the sunset from our patio area.